I am using AP 7532 & AP 7522E, Both firmware are 5.9.2. can i create vc redundancy for these both AP's? possible means guide me. 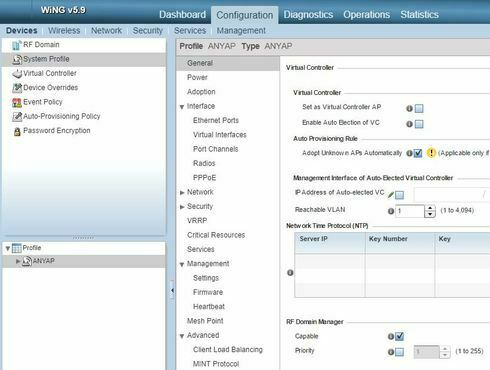 now AP 7532 is a virtual Controller. AP7522E v5.9.2.1 ignores adopt request from regular sku AP75xx with the following message. We have SPR (Software Problem Report) #3484 against this issue and issue will be resolved in a future v5.9.x release. For the time being, I would not configure an AP7522E v5.9.2 as VC redundant until we resolve SPR #3484. I tried that link basis. but i dont know where it is Option for RF Domain Manager. As Chris Frazee mentioned, you might want to hold off on configuring the AP7522E as VC redundant, until SPR #3484 is resolved. Is there a setup guide / best practice guide ? Fix for SPR #3484 is in WiNG v5.9.3.0 and higher. No problem Phil and documentation is located where firmware is on the Extreme Portal.